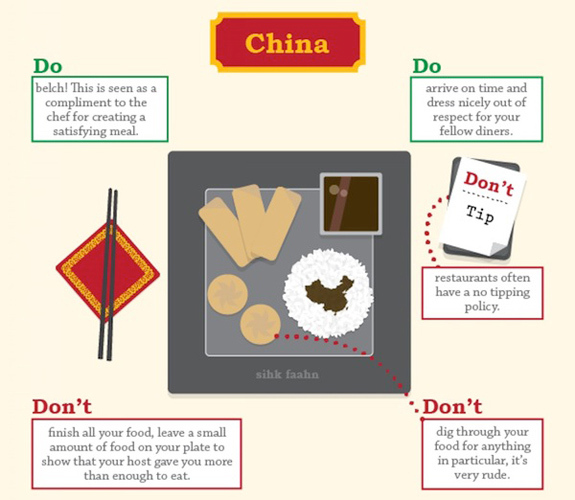 Dining out while traveling can be nerve-racking. 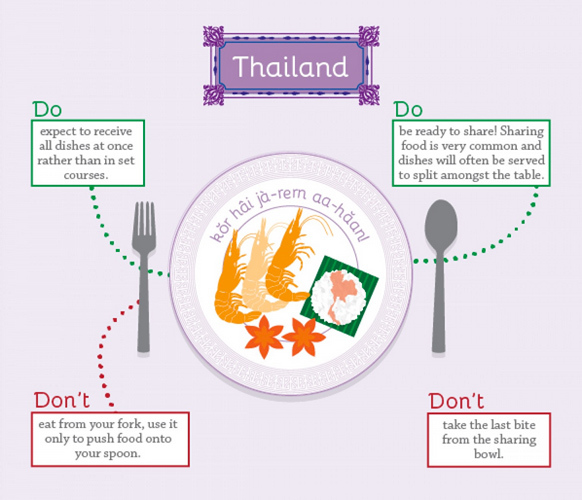 Know the do's and don'ts of dining across the globe so you don't look like a fool. 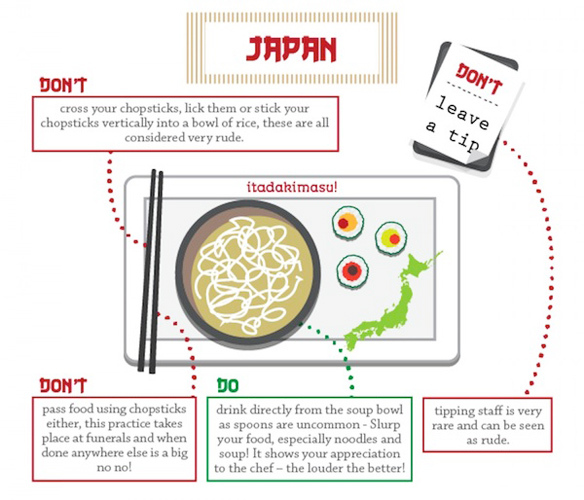 Dining out while traveling can be nerve-racking. 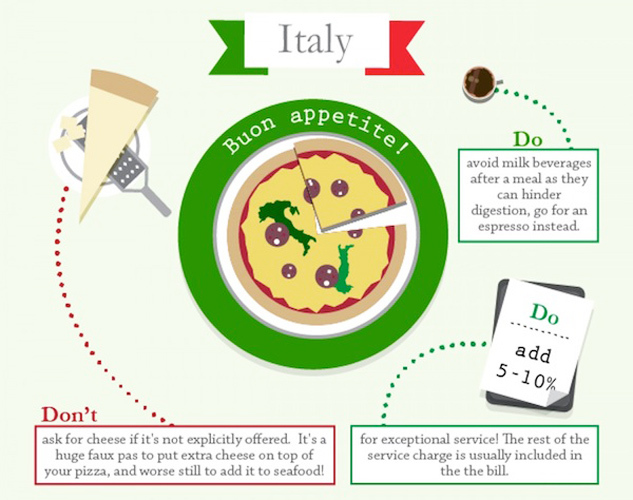 What percentage should you tip? Is it rude to burp after the meal, or seen as a sign of respect? Why is everyone else in the restaurant eating with their hands!? 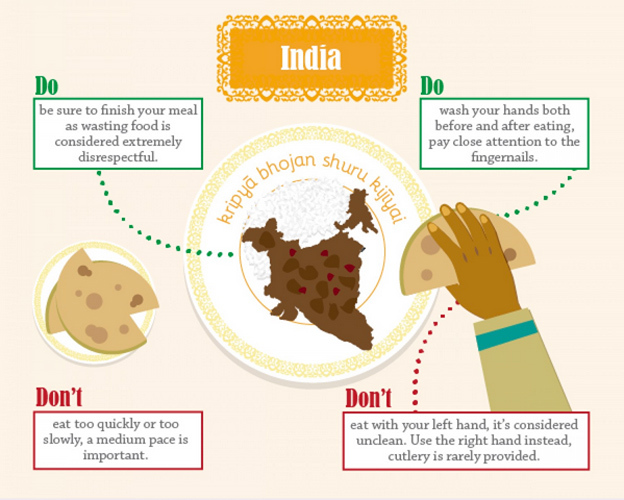 Lucky for you, The Restaurant Choice has come up with a handy guide detailing the do’s and don’t of dining in countries around the world. Now you know never to split the check in France, and to absolutely drink soup straight from the bowl when dining out in Japan. 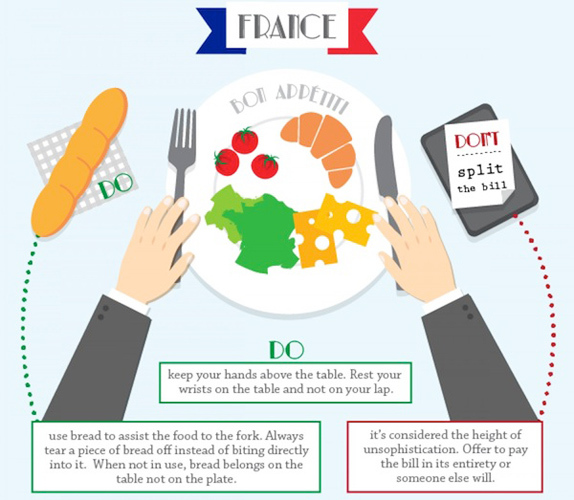 Check out these helpful dining etiquette tips below (or in the gallery above).